Frantic, Steffanie combed through research old and new and came across phage therapy: the idea that the right virus, aka "the perfect predator," can kill even the most lethal bacteria. Phage treatment had fallen out of favor almost 100 years ago, after antibiotic use went mainstream. Now, with time running out, Steffanie appealed to phage researchers all over the world for help. She found allies at the FDA, researchers from Texas A&M, and a clandestine Navy biomedical center-and together they resurrected a forgotten cure. 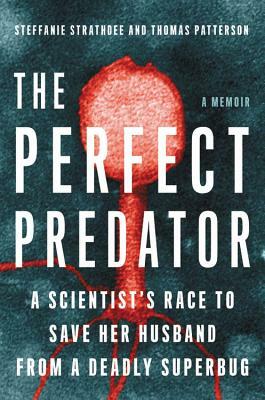 A nail-biting medical mystery, The Perfect Predator is a story of love and survival against all odds, and the (re)discovery of a powerful new weapon in the global superbug crisis. Steffanie Strathdee is an infectious disease epidemiologist, and Associate Dean of Global Health Sciences and Professor and Harold Simon Chair at the University of California, San Diego, School of Medicine. She also directs the new UC San Diego center for Innovative Phage Application and Therapeutics and is an Adjunct Professor at Johns Hopkins and Simon Fraser Universities. She has been named one of TIME's 50 Most Influential People in Health Care. Thomas Patterson is an evolutionary sociobiologist and an experimental psychologist. A Distinguished Professor of Psychiatry at UC San Diego, he has renowned expertise on behavioral interventions among HIV-positive persons and those at high risk of acquiring HIV and sexually transmitted infections. Dr. Patterson and Dr. Strathdee have worked as husband-and-wife AIDS researchers on the Mexico-US border for over a decade. This is their first book together. that would be completely unbelievable - if it weren't 100% true! "The story of a woman fighting for her husband's life is interesting in and of itself, but this book is so much more than that. It was written by a scientist who used her public health training to discover a solution to a problem; it just so happens that the solution she found may be an answer to one of the most urgent health problems in the world."